Pinkberry UK has just released three experimental holiday toppings made in conjunction with The Robin Collective: Christmas Tree, Partridge in a Pear Tree and Santa's Beard. Each is an avant-garde spin on its namesake; Santa's Beard looks like facial hair, while Christmas Tree tastes just like pine. The Pinkberry UK experimental holiday toppings will only be available at the Stratford Westfield location for a limited time. 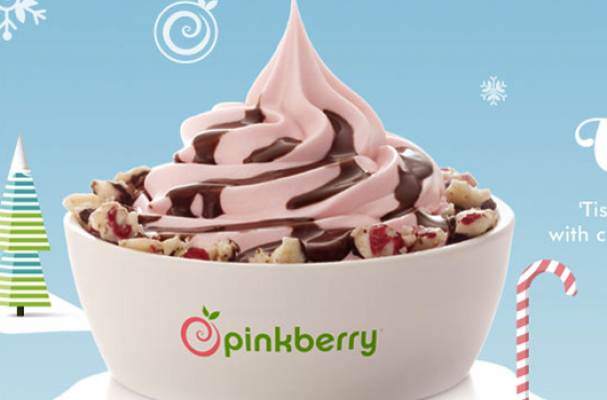 To read more about the frozen yogurt chain, see "The Simpsons" co-creator Sam Simon's lawsuit against Pinkberry.